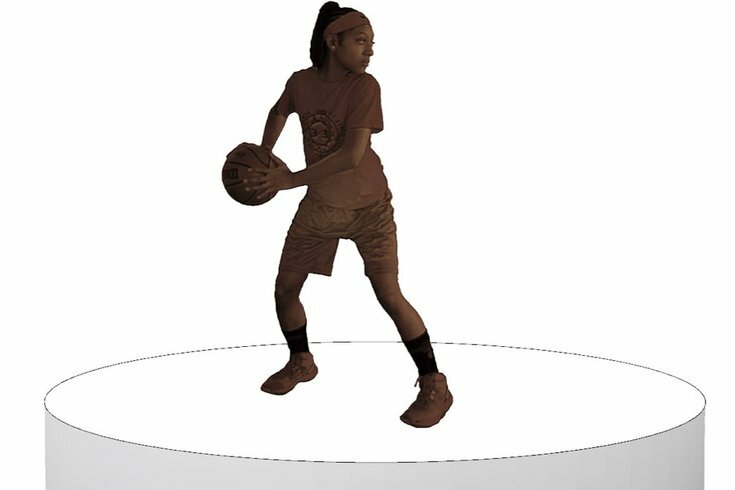 A rendering of Brian McCutcheon bronze sculpture of a young African-American girl, to be installed at Smith Playground in South Philadelphia. The Smith Playground in South Philadelphia will soon be home to the city's first statue depicting an African-American girl. The new work comes after the statue of Octavius Catto was erected outside City Hall in 2017, marking the city's very first statue to honor an African-American figure. The new statue, first announced by the Office of Arts, Culture, and the Creative Economy, is the work of artist Brian McCutcheon, commissioned by the Percent for Art Program. Unlike the statue of Catto, McCutcheon's statue depicts a young, African-American athlete rather than a specific historical figure, described as "a representative image of the culturally vibrant community that uses Smith Playground." The bronze sculpture will depict a basketball player of middle school age. “I believe this contemporary monument will be a local landmark that captures youthful determination and optimism. My hope is that young people in the community will recognize themselves in this work, their time in history and their own heroic story,” said McCutcheon in a statement. The new work comes shortly after a $3 million renovation to the playground and its recreation center, including new basketball courts, a new mural, a new turf field, a WHYY Media Lab, and other features. McCutcheon's work was selected after an open call for proposals was announced in December 2017. We can expect to see the new sculpture at the park, which is located at 2100 S. 24th St., this spring.